FIFA 19 (game, 2018). A football simulation video game by EA Sports/Electronic Arts. Developed by EA Vancouver, EA Romania, EA Canada, EA Sports. Official Trailer. FIFA 19 is a football simulation video game by Electronic Arts and EA Sports, developed by EA Vancouver, EA Romania, EA Canada and EA Sports. 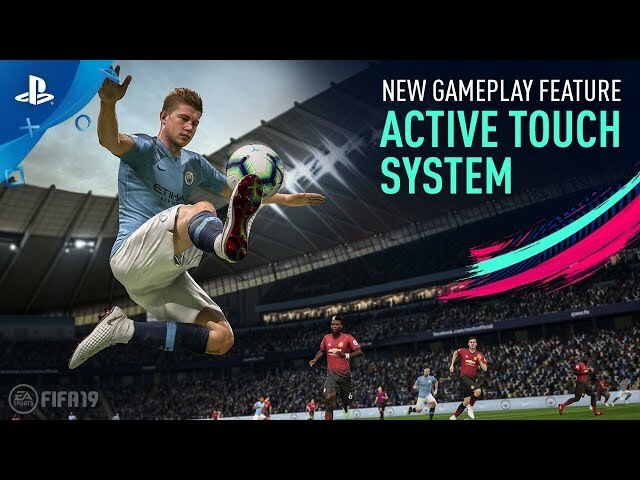 FIFA 19 - New Gameplay Features: Active Touch System Trailer | PS4. 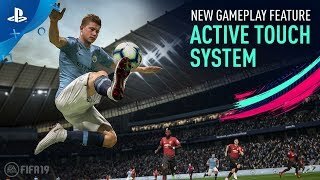 Gameplay changes on FIFA 19 include the new "Active Touch System" - an overhaul of player control, "timed finishing" - where the kick button may be pressed a second time to determine the exact moment the ball is actually kicked, "50/50 battles" - a system for determining how likely a player will win loose balls, and "Dynamic Tactics" - which allows players to configure strategies, and switch between them in real-time during a match. FIFA 19 introduces the UEFA Champions League, UEFA Europa League and UEFA Super Cup competitions to the game, after their licences with Konami's Pro Evolution Soccer expired. The game will have support for promotion and relegation between the Champions League and Europa League. Martin Tyler and Alan Smith return as regular commentators with Derek Rae and Lee Dixon as Champions League commentators. Geoff Shreeves also returns as the touchline reporter as well as Alan McInally providing updates from around the league. New graphics and stadiums have been implemented. Composer Hans Zimmer and rapper Vince Staples recorded a new remix of the UEFA Champions League anthem specifically for FIFA 19. It can also be heard in the game's reveal trailer. The Nintendo Switch port will receive upgrades over FIFA 18. On 9 June 2018, EA Sports uploaded an official reveal trailer on their YouTube channel. Cristiano Ronaldo returned as the global cover star for a second consecutive time. He and Neymar appear on the Champions and Ultimate Edition packs for the game. It reported that it will include 55 national teams with 35 licensed leagues. FIFA 19 was scheduled to be released by EA Sports and Electronic Arts on September 20, 2018, on September 25, 2018 and on September 28, 2018. The game is made with Frostbite 3 (PS4, XOne, Windows) engine. This video game is available for the following platforms: Microsoft Windows, PlayStation 3, PlayStation 4, Xbox 360, Xbox One and Nintendo Switch.